Bootlin has been for many years a key contributor to the Buildroot project, a very popular embedded Linux build system. A few years ago, we decided to share our Buildroot expertise by creating a corresponding training course: Embedded Linux development with Buildroot, for which the training materials are freely available, under a Creative Commons license. We have recently updated this training course up to Buildroot 2019.02, which is the latest “long term support” release of the project. Both the lectures and practical labs have been updated to this Buildroot version. 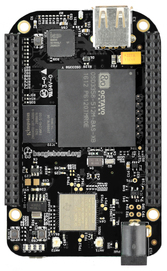 In addition, the board used in the course has been changed to the BeagleBone Black Wireless, instead of the BeagleBone Black, which is no longer easily available. The practical labs were updated accordingly, and we now use the USB device interface to provide network connectivity between the development PC and the embedded target. 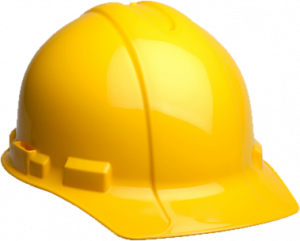 This 3-day Buildroot training course can be delivered on-site at your location, anywhere in the world. See our cost and registration page for more details. It has been over a year since we launched a crowdfunding campaign to fund the development of an upstream Linux kernel driver and userspace support for the Allwinner VPU. The funding campaign was a frank success, with over 400 backers contributing a total of over 30 k€ out of the 17,6 k€ set as the initial goal. This enabled us to work on additional stretch goals, namely support for new Allwinner SoCs and H.265 decoding support. Work on the Allwinner VPU started back in March 2018, being the main topic of my 6-month internship at our office in Toulouse. Bootlin engineer and long-time Allwinner Linux kernel maintainer Maxime Ripard rapidly joined the effort hands-on, to bring up support for H.264 decoding. 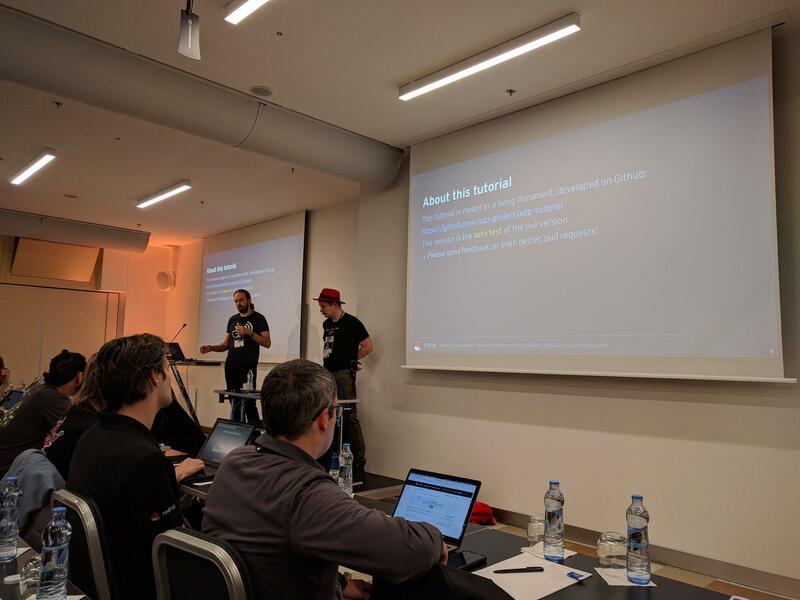 Aspects covered by our effort include the kernel driver (cedrus), VAAPI userspace library (libva-v4l2-request) as well as testing tools (v4l2-request-test, libva-dump) and various upstream projects such as VLC and GStreamer. We worked hard to deliver the campaign’s goals and submitted numerous revisions of the base cedrus driver along the way. By July, we announced the delivery of the campaign’s main goals (although some goals were not fully met, as explained in the associated blog post) and accompanied it with a release (tagged release-2018-07 in our git repositories). By the end of August, we had added support for MPEG-2, H.264 and H.265 for first-generation Allwinner SoCs (and the H3 in addition), including support for accelerated display of decoded frames in the DRM driver. See our detailed blog post presenting the status at that point. Still, our changes had yet to be included in the Linux kernel. We kept working intermittently on VPU support over the following months and manged to get the Cedrus driver accepted in Linux at the same time as the media request API. We also continued to work on submitting new versions of the series adding H.264 and H.265 support to our driver. Last but not least, we worked on adding support for the H5, A64 and A10 platforms, which were missing from the initial delivery. A dedicated blog post presents the status at the end of 2018. In 2019, Bootlin has been continuing the effort to maintain the driver and get the remaining patch series integrated in the mainline Linux kernel. We managed to get the remaining patches for DRM support merged and they will be included in Linux 5.1! Regarding codecs support, there are still discussions happening around the H.264 and H.265 series which are now at their sixth and third revisions respectively. We are hoping that the situation will settle and that these series will be merged (in staging) as soon as possible. With modifications taking place in the (unstable) kernel interface and userspace being updated accordingly, it became quite hard for users to properly pick the kernel and userspace components that work together. Because of that, we decided to make a new release (tagged release-2019-03 in our git repositories). It packs an updated kernel tree (based on the next media tree with our ongoing patch series applied atop) and matching versions of libva-v4l2-request and v4l2-request-test. We received a few contributions along the way, such as support for the H6 SoC in the cedrus driver (that should make it to Linux 5.2) and a few minor fixes for the driver. We also received and reviewed improvement to our v4l2-request-test testing tool. We have been working with Raspberry Pi for quite some time, especially on areas related to the display side. Our work is part of a larger ongoing effort to move away from using the VC4 firmware for display operations and use native Linux drivers instead, which interact with the hardware directly. This transition is a long process, which requires bringing the native drivers to a point where they are efficient and reliable enough to cover most use cases of Raspberry Pi users. Continuous Integration (CI) plays an important role in that process, since it allows detecting regressions early in the development cycle. This is why we have been tasked with improving testing in IGT GPU Tools, the test suite for the DRM subsystem of the kernel (which handles display). We already presented the work we conducted for testing various pixel formats with IGT on the Raspberry Pi’s VC4 last year. Since then, we have continued the work on IGT and brought it even further. The display engine hardware used on the Raspberry Pi allows displaying multiple framebuffers on-screen, in addition to the primary one (where the user interface lives). This feature is especially useful to display video streams directly, without having to perform the composition step with the CPU or GPU. 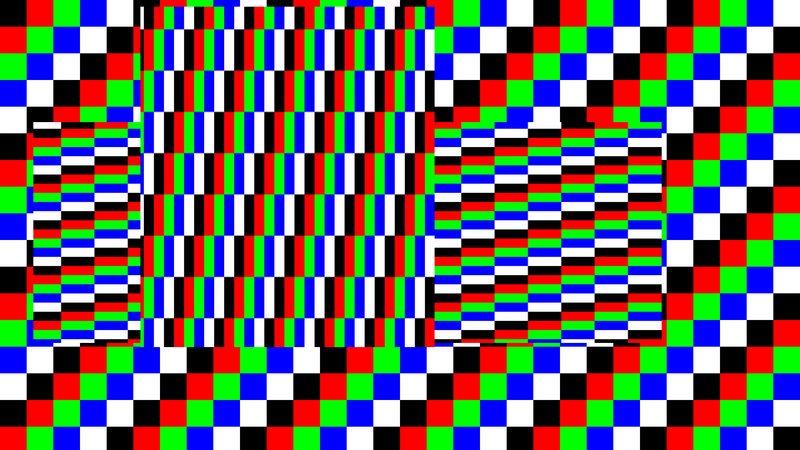 The display engine offers features such as colorspace conversion (for converting YUV to RGB) and scaling, which are usually quite intensive tasks. In the Linux kernel’s DRM subsystem, this ability of the display engine hardware is exposed through DRM planes. Comparing the pixels in the captured and reference frames. 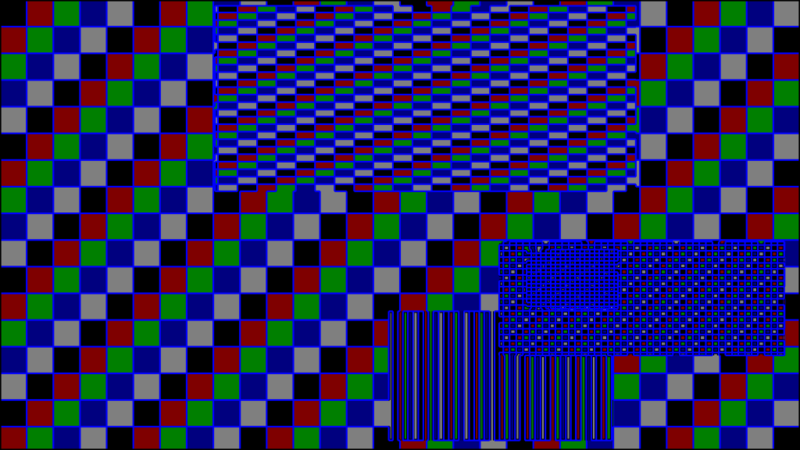 While the first method is the fastest one (because the captured frame’s CRC is calculated by the Chamelium board directly), it can only work if the framebuffer and the reference are guaranteed to be pixel-perfect. Since HDMI is a digital interface, this is generally the case. But as soon as scaling or colorspace conversion is involved, the algorithms used by the hardware do not result in the exact same pixels as performing the operation on the reference with the CPU. Because of this issue, we had to come up with a specific checking method that excludes areas where there are such differences. Since our display pattern resembles a colorful checkerboard with solid-filled areas, most of the differences are only noticeable at the edges of each color block. As a result, we introduced a checking method that excludes the checkerboard edges from the comparison. Linux 5.0 was released two weeks ago by Linus Torvalds, and as it is now always the case, Bootlin has contributed a number of patches to this release. 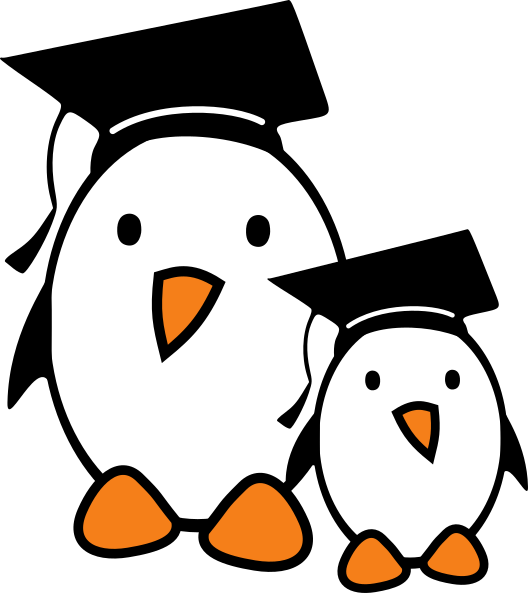 For an overview of the new features and improvements brought by Linux 5.0, we as usual recommend to read the LWN articles: merge window summary part 1, merge window summary part 2. The KernelNewbies.org page about this kernel release is also nicely documented. In terms of contribution to Linux 5.0, according to the LWN statistics, Bootlin is the 12th contributing company by number of commits (261 commits), and 8th contributing company by number of changed lines. Bootlin engineer Maxime Ripard is 11th contributing developer by number of commits, and former Bootlin engineer Boris Brezillon is 12th contributing developer by number of commits, and 8th by number of changed lines. In this release, we are also happy to see numerous contributions from Paul Kocialkoswki who joined Bootlin in November 2018 after his internship working on the Linux kernel support for the Allwinner VPU. After 1.5 years of work, the I3C subsystem was finally merged and visible in drivers/i3c in your favorite kernel tree! We are proud to have pioneered the Linux kernel support for this new MIPI standard, which aims at providing an alternate solution to I2C and SPI, with interesting new features (higher speed, device discovery and enumeration, in-band interrupts, and more). See also our initial blog post about I3C, and our blog post about I3C being upstream. In the RTC subsystem, Bootlin engineer and RTC kernel maintainer Alexandre Belloni reworked the way nvmem devices are handled, allowing for multiple nvmem devices to be registered for a single RTC as some have both battery-backed RAM and an on-chip EEPROM. devm_rtc_device_register() has been reimplemented to use the new registration path and is now deprecated. Its counterpart, devm_rtc_device_unregister() has been removed. Boris Brezillon contributed a number of patches to the support for raw NAND mainly related to refactoring the subsystem. For example, some of the patches make the ->select_chip() of nand_chip a legacy hook, and removes its implementation from a number of drivers. All those patches do not bring any new feature per-se, but are part of a larger effort to clean up and modernize the MTD subsystem. Boris Brezillon also contributed to the SPI NOR support a mechanism to fixup the information provided in the BFPT table of SPI NOR flashes. This is used to ensure that some Macronix SPI NOR flashes are properly recognized as supporting 4-byte opcodes. Maxime Ripard contributed a number of improvements to the OV5640 camera sensor driver, especially to remove the hardcoded initialization sequence by a much more flexible initialization code, which allowed to support 60fps and more resolutions. Maxime Ripard extended the PHY subsystem with two new functions, phy_configure() and phy_validate(), which allow to pass configuration details to PHY drivers. This was then used by Maxime to implement MIPI D-PHY drivers, which need a significant number of configuration parameters. See this commit and this commit for details. MIPI D-PHY are typically used in video display or capture HW pipelines. As part of our work on RaspberryPi display support, Boris Brezillon contributed a number of fixs to the VC4 display controller driver. For the support of Microchip MPU (Atmel) platforms, Alexandre Belloni migrated the AT91SAM9260, AT91SAM9261, AT91SAM9263, AT91SAM9RL, AT91SAM9x5, SAMA5D2 and SAMA5D4 platforms to the new clock Device Tree binding that he introduced in Linux 4.20. For the support of Microchip UNG (formerly Microsemi) platforms, Alexandre Belloni added support for the Jaguar2 platform to the pinctrl driver already used for the Ocelot platform. Maxime Ripard did a huge amount of Device Tree cleanups and improvements, fixing DTC warnings, but generally making sure those Device Tree files are consistent. Paul Kocialkowski implemented support for YUV planes in the Allwinner display controller driver. This allows to display a video decoded by the VPU directly into a display controller plane, and let the hardware compose it with other display planes, without CPU intervention. Paul Kocialkowski enabled the VPU (for hardware-accelerated video decoding) on the Allwinner H5 and A64. This work was part of our crowdfunding campaign around the Allwinner VPU support. Miquèl Raynal implemented support for the thermal overheat interrupt on Armada 7K/8K. Today, the three Raspberry Pis that we have on our network went down. They were all running Raspbian (Debian for Raspberry Pi) Stretch. While this issue can be solved, it is serious enough to require to remove the micro-SD card and manually fix the the root filesystem. Therefore, it seems you cannot fix this issue unless you have physical access to your system. After connecting a serial cable to one of the Pis, and adding init=/bin/sh to the /boot/cmdline.txt file. I found that I couldn’t seem to execute at least some executables. Everything I tried to execute was causing a segmentation fault. These posts have all details. All you need to do is take away the micro-SD card, repair the second partition with e2fsck -f /dev/mmcblk0p2 and remove the etc/ld.so.preload file inside this partition. Note, that at the time of this writing, this issue has already been fixed, so it is safe to upgrade your Pi if it is still up and running, or right after repairing your Raspbian root filesystem. This incident is very unfortunate, as you need to physically access your board to recover from it. I hope you don’t run updates as frequently as we do (or right after the time when the update was issued), and that your Pis are not impacted, otherwise possibly forcing you to travel or to crawl into difficult to access places to reach your boards. However, I don’t want blame the community volunteers running Raspbian. They have made a terrific job maintaining this distro which had been flawlessly running for more many years on our systems. This seems as good as what we get from commercial distributions. I hope that not too many services ran by Raspberry Pis will be disrupted because of this issue. However, that may be yet another way to prove how popular such devices are. 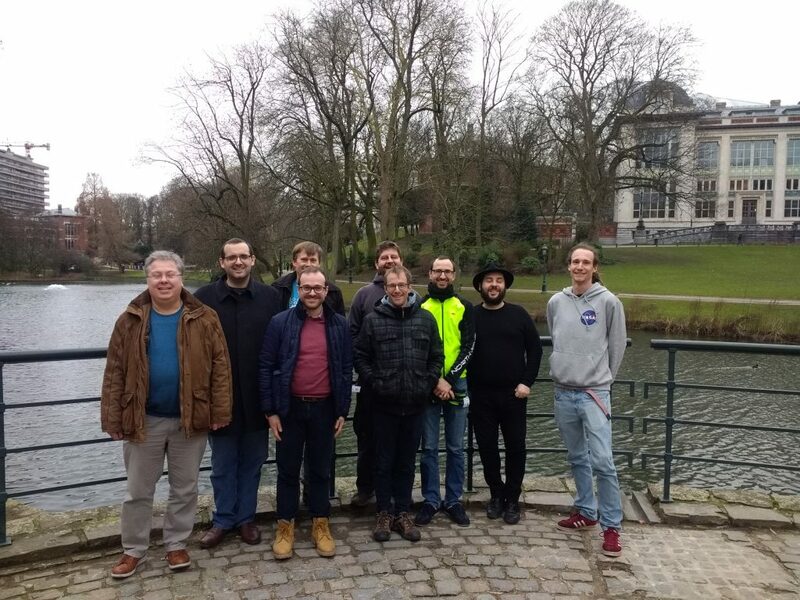 It’s now a tradition: the Buildroot project organizes one of its Buildroot Developers Meeting right after the FOSDEM conference. 2019 was no exception, and the meeting took place from February 4 to February 6, a three days duration, instead of the traditional two days duration from the previous years. Once again, the meeting was sponsored by Google, who provided the meeting location and lunch for all participants. Bootlin participated to the event, by allowing its engineer Thomas Petazzoni to join the meeting. Discussion about introducing Config.in options for all host packages, an idea that we decided to not pursue for the moment. Discussion on participating to the Google Summer of Code. We wrote a few topic ideas and applied as an organization for GSoC 2019. Reading the work on the pending patches, we managed to reduce the backlog from about 300 patches to around 170 patches, which is a very significant achievement. From left to right: Mark Corbin, Adam Duskett, Angelo Compagnucci (front), Peter Korsgaard (back), Thomas Petazzoni (front), Arnout Vandecappelle (back), Thomas De Schampheleire, Adrian Perez de Castro and Titouan Christophe. Behind the camera: Yann E. Morin. Finalize his work on the pkg-stats script, to include details about the latest available upstream version of each Buildroot package. To do so, it relies on information provided by the release-monitoring.org website. The information is not yet accurate for all packages, but the accuracy can be improved by contributing to release-monitoring.org. The updated package statistics page now provides those details, which will help ensure Buildroot packages are kept up-to-date. Review in detail the patch series from Adam Duskett introducing support for GObject Introspection. It is far from a trivial package due to the need to run during the build some small binaries using Qemu. While the series is not merged yet, we have a much better understanding of it, which will help complete the review process. Do a final review and apply the lengthy patch series reworking the fftw package. Participate, as a Buildroot co-maintainer, to the pending patches backlog cleanup, by reviewing and/or merging a significant number of patches. It was once again a very nice and productive meeting. The next meeting will take place as usual around the Embedded Linux Conference Europe, in October, in Lyon (France). At Bootlin, we owe a lot to the Free Software community, and we’re doing our best to give back as much as we can. One way of doing that is welcoming community contributors in our public training sessions organized in France. We’ve done that multiple times several years back, and this allowed us to meet very interesting people (who even had very valuable experience and points of view to share with the other course participants), while of course giving them extra knowledge that they can use for further contributions. Embedded Linux system development course, Mar. 4-8, 2019 in Avignon, France. Apply by Feb. 17. The winner will be selected and notified by Feb. 19. Linux kernel and driver development course, Mar 25-29, 2019 in Avignon, France. Apply by Mar. 10. The winner will be selected and notified by Mar. 12. 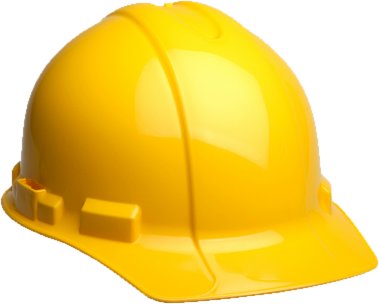 See our Free training seats page for practical details about how to apply. Don’t hesitate to apply to this free seat. In past editions, we didn’t have so many people applying, and therefore you have a real chance to get selected! We’ve started to use Mastodon (in addition to Twitter and LinkedIn) to share quick news with you: new blog posts, contributions to Free Software projects, photos at events, etc. Did you know Mastodon? I’ll like Twitter, but better, decentralized and really free (as in Free Software). I discovered it by attending one of the conferences we sponsor (Capitole du Libre in Toulouse, France) and by following the efforts of Framasoft to provide decentralized Internet services. There is a very nice article introducing Mastodon and its strengths vs Twitter: Mastodon Is Better than Twitter: Elevator Pitch. There are no Retweets but Boosts. Retweets allow to share a post with your own comments to all your followers. This creates flame wars in the best interest of Twitter. Twitter needs its users to spend as much time as possible viewing the content they host (and therefore their promoted content at the same time). Instead, Mastodon only allows to “boost” the visibility of someone else’s post, without allow you to add your own comments. Mastodon has no interest in making you stay as long as possible by creating flame wars. It just lets you focus on the content your are interested in. In a nutshell, using Mastodon contributes to a better world in which users are in control of their data, interests and time. What about joining the Mastodon network and give it a try ! Go to https://joinmastodon.org, choose your perfect community (your Mastodon instance… we are on https://fosstodon.org), and follow us if you wish on https://fosstodon.org/@bootlin. We hope that you will like the experience. MACsec is an IEEE standard (IEEE 802.1AE) for MAC security, introduced in 2006. It defines a way to establish a protocol independent connection between two hosts with data confidentiality, authenticity and/or integrity, using GCM-AES-128. MACsec operates on the Ethernet layer and as such is a layer 2 protocol, which means it’s designed to secure traffic within a layer 2 network, including DHCP or ARP requests. It does not compete with other security solutions such as IPsec (layer 3) or TLS (layer 4), as all those solutions are used for their own specific use cases. We have recently worked on enabling hardware offloading of MACsec operations on a Microsemi VSC8584 Ethernet PHY in Linux, by contributing support for MACsec offloading to the Linux networking stack. In this blog post, we present this work through an introduction to MACsec, details on the current state of MACsec support in Linux and finally our work to support MACsec hardware offloading. 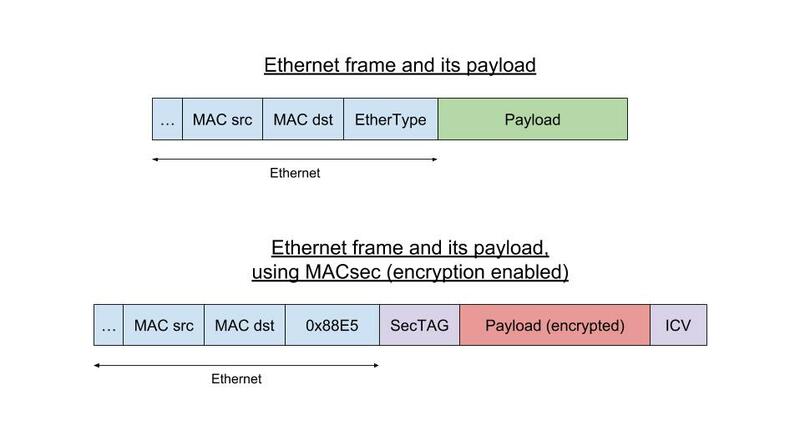 MACsec uses its own frame format with its own EtherType (a 2-bytes field found in Ethernet frames to indicate what the protocol encapsulated in the payload is). As an example, when encapsulating an IPv4 frame, we would have Ethernet<MACsec<IPv4 instead of Ethernet<IPv4. The MACsec configuration within a node is represented at the top level by Secure Channels. A secure channel is identified by its SCI (Secure Channel Identifier) and contains parameters such as the encryption, protection and replay protection booleans. A secure channel is either a transmit or a receive one: the receive secure channel configuration on a given host should match the transmit one of another host for MACsec traffic to flow successfully. Within each secure channel, security associations are described. They are identified by an association number and define the encryption/decryption keys used and the current packet number, which is used for replay protection. Linux has a software implementation of MACsec, found at drivers/net/macsec.c, which was introduced by Red Hat engineer Sabrina Dubroca in 2016 and available since Linux 4.5. The support is implemented as full virtual network devices, on per transmit secure channel, attached to a parent network device. The parent interface only sees raw packets, which are in the MACsec case raw Ethernet packets with protected or encrypted content. This design is very similar to other supported protocols in Linux such as VLANs. MACsec support was also introduced in iproute2, a collection of utilities aiming at configuring various networking parts of the kernel (interfaces management, IP configuration, routes…). The command to use is ip macsec. 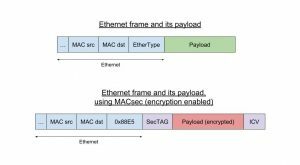 There are hardware devices featuring a MACsec transformation implementation which can be used to offload the frame generation and encryption / authentication of MACsec frames (for both ingress and egress frames). The benefit of hardware offloading is to discharge the CPU from doing certain operations (in our case MACsec transformations) by doing them in a dedicated hardware engine, which may or may not provide better performance. The idea is essentially to free the CPU from being used by a single application so that the system in its whole runs better. MACsec offloading devices aren’t currently supported in the Linux kernel and no generic infrastructure is available to delegate MACsec operation to a given hardware device. At Bootlin over the last months we worked on adding such an infrastructure and support for offloading MACsec operations to a first device. This work was done in two steps. First we needed to extend the current MACsec implementation to propagate commands and configuration to hardware drivers. Our idea was to leverage the current MACsec software implementation to use the exact same commands described above to setup an hardware accelerated MACsec connection, when a Linux networking port supports it. This should allow to have a more maintainable implementation as well. We then worked on implementing a MACsec specific helper in a networking PHY driver : the Microsemi VSC8584 Ethernet PHY. This PHY has a MACsec engine which can be used to match flows and to perform MACsec transformations and operations. When configured packets can be encrypted and decrypted, protected and validated, without the CPU intervention. We recently sent a first version of patch series to the Linux network mailing list, which is currently being discussed. This series of patches introduces both the hardware offloading support for MACsec and the ability to offload MACsec operations to a first hardware engine. We hope support for other MACsec engines will come after!